Small bathrooms don't need to be cramped and lacking in luxury, choose from tint freestanding tub, or light colors to pop the space open. As much as everyone wishes they could have a huge and extremely spacious bathroom with a massive freestanding tub and huge double sinks. The reality is often the complete opposite, with absolute minimal space for luxurious tubs and huge walk-in showers. However, you don’t have to give up having an elegantly chic bathroom, even if it is small, because there are a few fabulous ticks you could utilize for a lush small bathroom. From tinny-tiny tubs to playing around with different colors in a small space. White is always a great color to use in a bathroom that hasn’t got a lot of space, from the tubs to the walls to the tiles. This doesn’t mean you have to totally enforce a color ban though, soothing colors work beautifully too. After all, the saying does go – “The greatest things come in small packages.” Here are our clever spacious tips on creating a fabulous bathroom, even if it is small. There are some really luxurious bathtubs out there lately, that have been specially catered to fit into small bathrooms. 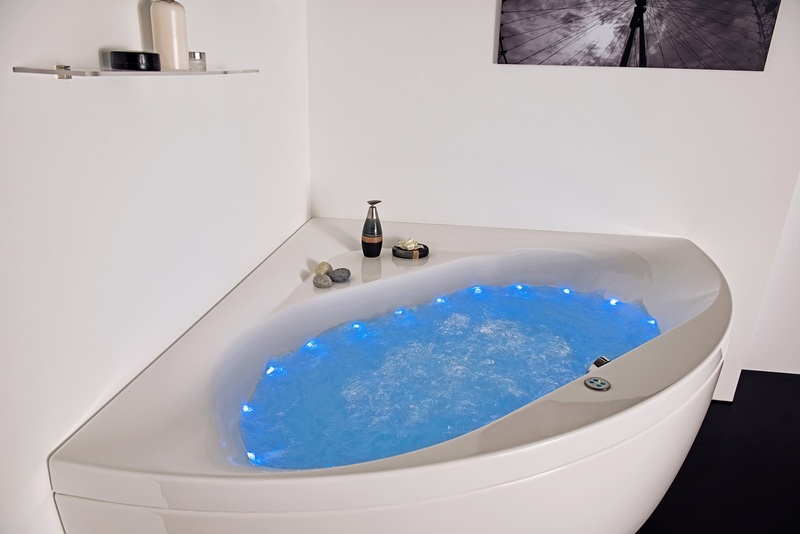 You can choose from a massive selection of small freestanding bathtubs, or even corner bathtubs, that have air massage jets fitted into them for added luxury. A tint bathroom doesn’t need to have a cramped oversized bathtub in it. 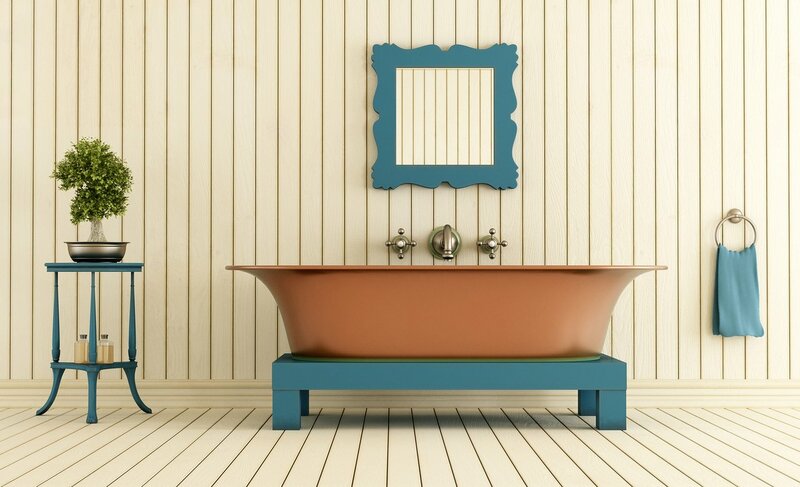 Make the most of your space with a small tub that works with the room, and still have that elegant touch to it. A corner shower enclosure is one of the greatest decorating bathroom tools lately, and they make use of a space in a bathroom that could end up looking odd unused. As we mentioned there are also massive varieties of corner bathtubs that are the perfect fit for a corner in a small bathroom. Another fabulous idea is using bathroom furniture that can be wall mounted, which is a great way for creating the illusion of more space in a small bathroom. You shouldn’t be afraid to use color in a bathroom that is on the smaller side. Although, if you are going got bring in some color, you should opt for colors that are soft and soothing, perhaps a gentle peach pink, or a baby blue. By painting not only the walls, but also the ceilings, or even just one wall and the ceiling, you’ll open the space up as you could never have imagined. You definitely cannot go wrong with chic and strong white subway tiles in a small bathroom. White is a crisp, classic and clean color that will enhance any space. Subway tiles are particularly popular with a gray grout. Make sure you keep the rest of the room simple and not overdone, this will help maximize the space in a bathroom that is lacking in space! Alright, so even though white is a classic and all-time favorite for bathrooms, and most of the time your gut will tell you to steer clear of dark colors in a small space. However, you can really make a bathroom look very inviting and cozy with a darker color. 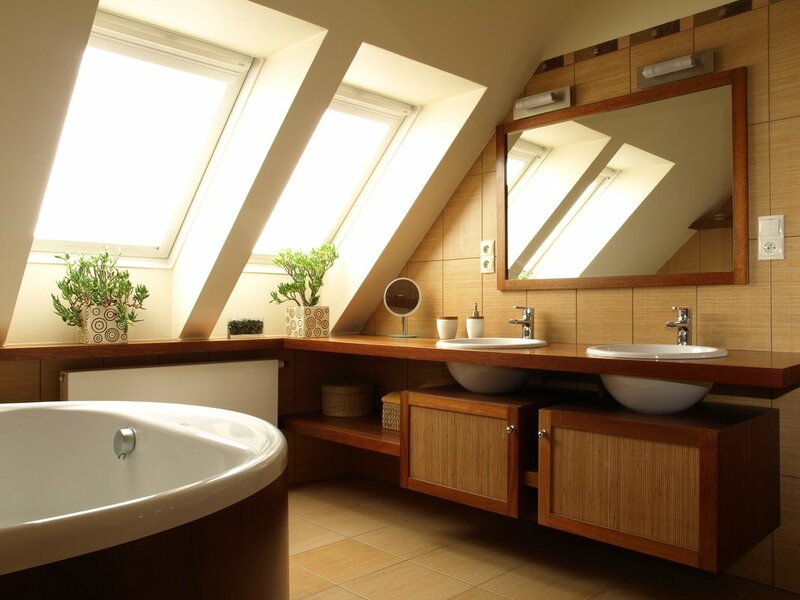 Make sure you have soft washing of white light in your darker shaded bathroom so as to contrast of the colors. Dark colors and the right lighting in a small bathroom can recreate that spa-like feel in your bathroom.